Is anyone still visiting my blog? I ask, because I've been absent. Life is happenng. Adulting is being done. Blog was neglected. For that, I am sorry. I expect the coming month to allow me to post more frequently. With that, how about some delayed nail art from around Christmas time? Maybe I should pretend it's a Valentine's day look..Red for roses and green for leaves? Either way, it's still cute and was very easy to create! The base color is two coats of Literary Lacquers Stinky Litte Truck from the 2015 Community Collaboration Collection. 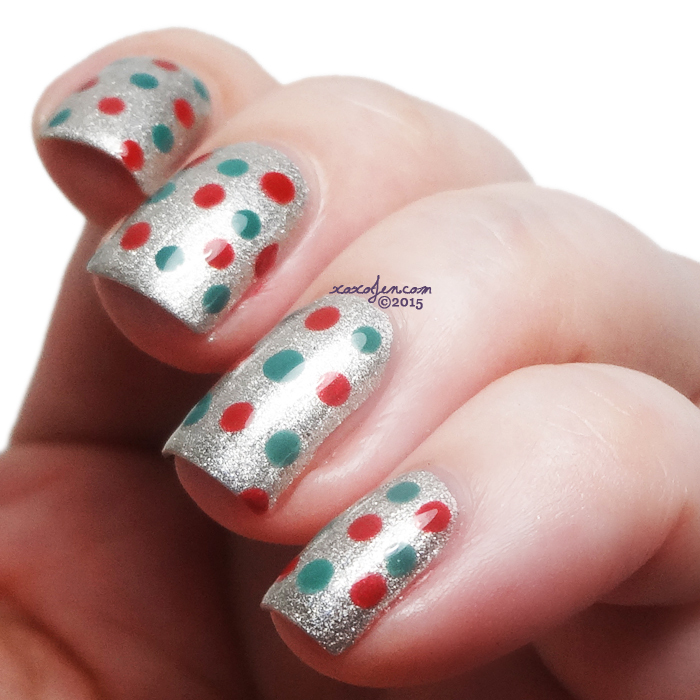 The dots were created with polishes from the Crème à la Mode winter box - Digital Nails Arboreal, a glass like jade green and Indigo Bananas Scarlet Night, also glass like but red. I used a dotting tool to apply the dots and then topcoated to finish. Easy peasy and all the polishes played nicely together! I hope you've enjoyed the mini review and will be back to visit me again! Mhm loving this! Dotticures are so fun. 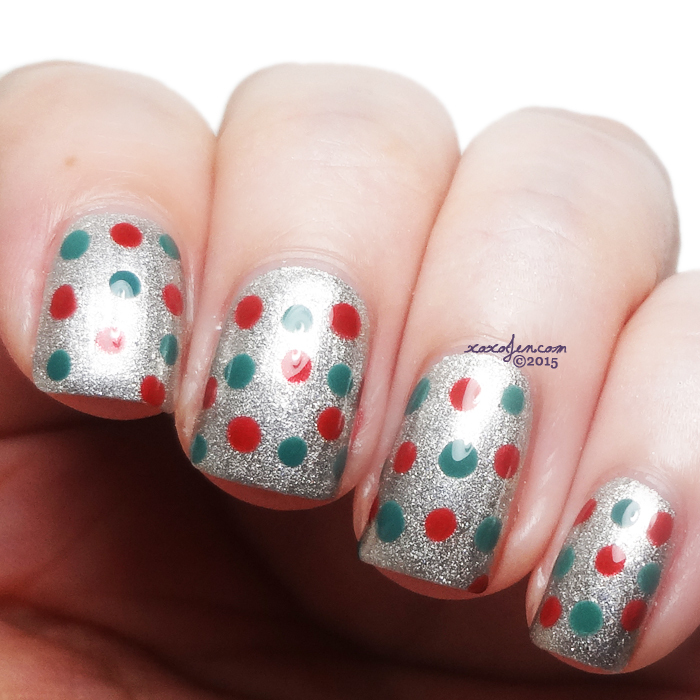 Great dotticure, for any time of year! I love dotticures! and this one is cute! Totally works for Valentine's!